Every small business needs equipment and materials to function efficiently. If your lack of equipment is holding you back or if you're using old, worn, or outdated equipment, updating your assets can help your small business grow. Of course, new equipment means spending money. Many small businesses struggle to maintain positive cash flow, and depleting your liquidity can leave you in a bind. Fortunately, there are several ways to save money on new equipment while still benefiting from the purchase. Here are a few strategies to help. Struggling with an equipment purchase? Break out the calculator and start crunching numbers. Sometimes, equipment that comes with a high price tag can actually save you money in the long run. Instead of making decisions based on the purchase price alone, calculate the total cost of ownership (sometimes called the "true cost of ownership"). For instance, if a piece of equipment uses less energy, you'll save money on your business's monthly utility bills. Similarly, if your old equipment breaks down every month, a new purchase will cut down on maintenance costs. Your community bank might offer the ideal solution when your business needs new equipment. Commercial loans provide you with the money up front so you can spread out the purchase price over several months (or even years). That way, you don't run into cash flow problems that restrict your ability to run your business. A business line of credit offers another solution. This strategy is ideal if you plan to make multiple equipment purchases over an extended period of time. You use the credit when you need it. Haggling isn't just for used car lots. Most businesses will entertain back-and-forth negotiations over the prices for equipment, materials, and supplies. In fact, if you get in the habit of failing to haggle, you might leave precious dollars on the table in the process. Do your research before you buy equipment so you know each piece's market value. Use that research to make reasonable offers. Expect the vendor to counter -- as mentioned above, it's a back-and-forth process -- but you'll probably walk away with your new equipment at a better price. 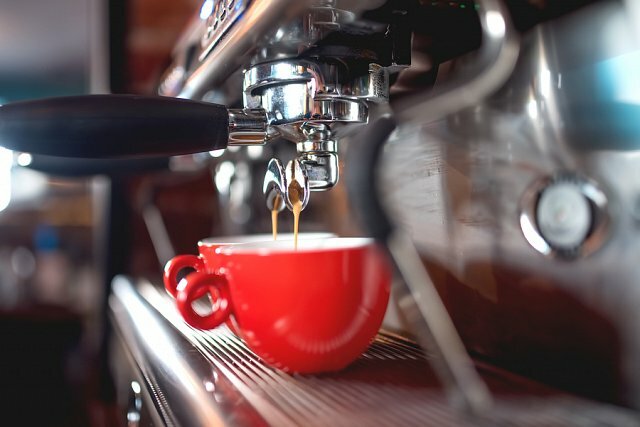 Whether it's an espresso machine for your coffee shop or a forklift for your warehouse, you want the highest quality equipment. Buying cheap equipment might save you money in the short term, but it'll likely cost you down the road. The best equipment lasts longer and offers increased productivity, efficiency, and quality. This is where commercial loans can come in handy. Maybe you don't have cash on hand for the best equipment, but you can borrow it. Loans like these make good fiscal sense because they put your business in a prime position to generate more revenue going forward. Upgrading your equipment can make a tremendous difference in your business's prospects for future growth and success. If you're interested in commercial loans for equipment or supplies, take advantage of our equipment loan at Seacoast Bank.